Wrote book on U.S. soccer to be published November 2019. Title tba. Write for freelance clients including The Guardian, Soccer America, FourFourTwo, Bloody Elbow, SoccerWire, OZY, FoxSoccer.com, USA TODAY, Popdose, The Huffington Post and ESPN. 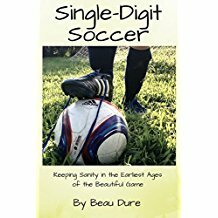 Wrote Single-Digit Soccer: Keeping Sanity in the Earliest Ages of the Beautiful Game, a funny, honest look at youth soccer’s joys and issues. 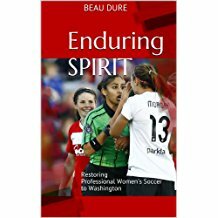 Wrote Enduring Spirit: Restoring Professional Women’s Soccer to Washington, a behind-the-scenes look at the Washington Spirit’s first season. 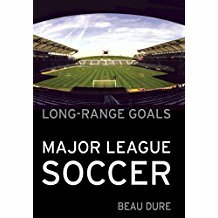 Wrote Long-Range Goals: The Success Story of Major League Soccer, a history of the league relying on research and exclusive interviews. Wrote as-yet-unpublished book on mixed martial arts. Host of Ranting Soccer Dad, a podcast and blog on issues in youth soccer and beyond. Wrote soccer, Olympic sports and mixed martial arts stories for the newspaper and Web site. Managed the site’s coverage in soccer, Olympic sports, hockey, golf, boxing, MMA, high school sports, horse racing and other sports at various times. Pioneered USA TODAY’s blog efforts and was a lead blogger on Sports Scope and Soccer Sweep as well as a contributor to MMA Fighting Stances and Game On. Managed long-term site improvement projects such as automated statistics, working with vendors and wire services. Developed online coverage plans for events including the 2010 Olympics, 2004 Olympics, 2003 Women’s World Cup, 2002 World Cup and 2002 Olympics. Planned and researched graphics and other multimedia features. Nov. 1999-Nov. 2000: Helped to develop the site’s chat features and message boards. Wrote soccer columns. Oct. 1998-Nov. 1999: Selected and edited stories for use by wire service clients. Supervised news desk on Saturdays and holidays. Designed and edited syndicated print pages. Wrote a weekly soccer column. Nov. 1996-Aug. 1998: Created and produced content for the Web site of the News & Record. Oct. 1994- Nov. 1996: Also assisted management in scheduling copy desk and supervising editorial assistants. Aug. 1991- Oct. 1994: Also filled in where needed for sports editor and assistant city editor. Wrote sports columns and game stories. Master of Arts in Liberal Studies, Duke University. May 2000. Final project examined changing role of news in information age. Bachelor of Arts, Duke University. May 1991. Majors: Philosophy, Music. Also was managing editor, magazine editor, reporter and columnist for The Chronicle.